Somewhere between micromanaging every single moment and not knowing when the party even starts, there is a sweet spot of time management. I think I have found my sweet spot! As much as I discuss planning tasks on this page, my monthly calendar spread is the heart of my time management success. Here are some of the features of my monthly calendar planner pages that make it easy to use and effective for managing my time. Because all appointments go on your monthly spread, it should be easy to access at all times. People rarely get to sit down leisurely and input appointments. More likely, you'll be balancing your planner in one hand and your baby in the other, at the doctor's office, while your toddler screams about cookies. 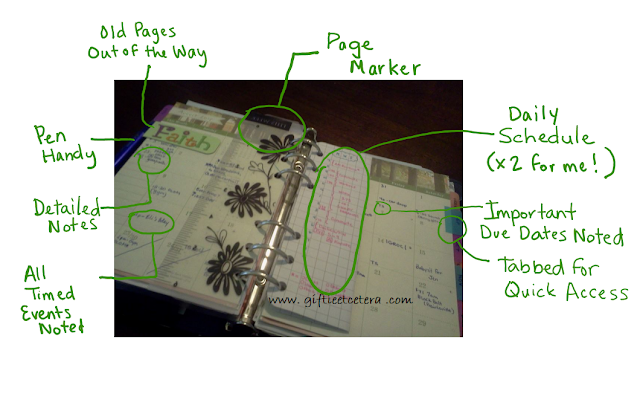 I use a magnetic page marker to put old pages out of the way, a page marker in the center of the current month for quick page turning, and homemade tabs (just written on post-it tabs) for each month. My pen is almost handy for putting appointments into my planner. All timed events and major due dates are noted. I even have detailed notes about the events on a special list (so they don't cram those little squares full). I include a bare bones schedule of weekly events. Work hours (if they are consistent), classes, kids' activities, and time for commuting are factored into the schedule. This short schedule allows me to build my days at a glance, without double booking anything. 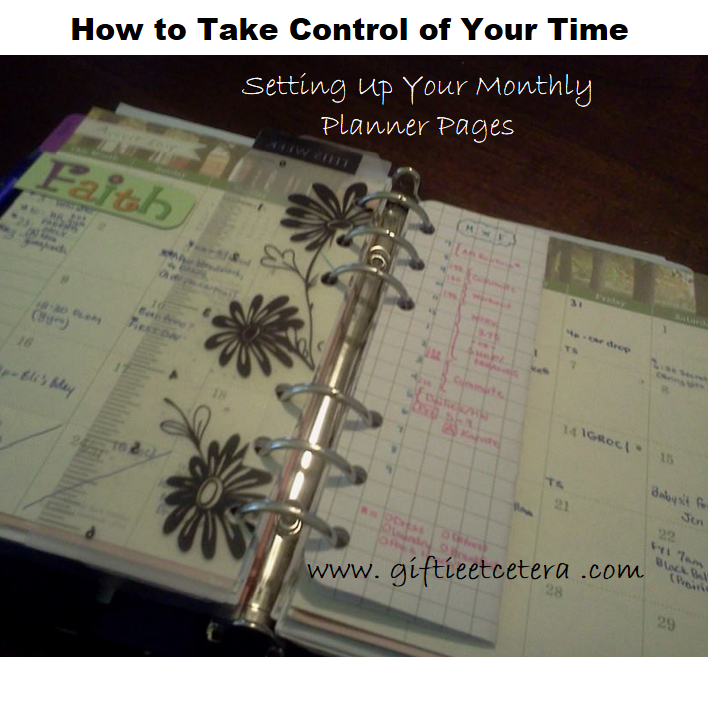 Come join the conversation about managing your time and your life at the Giftie Etcetera group on Facebook. I use my monthly pages heavily, too. I mark them with a paperclip with a ribbon so that they are easy to find. For most appointments/ engagements, I make sure they get into the weekly plan (where I usually have time blocking type of schedule.) That way, I have an idea of the flow of the day. I use both physical and digital planners, especially with my blog. I must have a zillion digital files plus weekly and monthly planners and goals that I print out! Nina - for blogging, I use OneNote, except for scheduling posts. So I kind of do what you are doing! I am an organizing junkie. Love planners, lists and calendars... This is a great product and post ! Thanks for sharing ! I am in the process of sorting a planner for my blog. I use a digital diary for my real life appointments. i LOVE planners and seeing what planner styles work for people. Thanks for sharing with Small Victories Sunday Linkup. 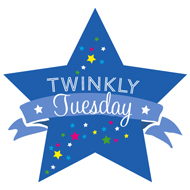 Pinning to our linkup board and hope you join this week's linkup that just went live!